Sounds like a great event. Sign me up! The Guilford County Dental Society, in association with the North Carolina Dental Society, invites all dentists and dental team members to a day full of learning, networking and camaraderie. Listen to three different speakers, engage with a panel discussion and earn six hours of continuing education credit. Red and white lesions comprise a myriad of mucosal entities that are frequently noted in a busy dental practice. These lesions can be as innocuous as inflammatory/reactive to more sinister representations of malignant neoplasia. Lesions can be purely white, as in a frictional keratosis or a homogenous leukoplakia, or purely red as in atrophic candidiasis and erythroplasia. In addition to the color, the surface texture of a lesion is significant. A smooth glistening surface is not as alarming as a rough, granular surface. A mixture of red and white is noted occasionally. Atrophic mucosa is highlighted when a rim of keratosis is present as in geographic tongue. Erythroplastic lesions representing squamous cell carcinoma will often have a periphery or an occasional island of leukoplakia associated with them. Dr. Collins will address the commonly encountered red and white lesions, and their causality across the ages from children to those in the elderly. From this discussion, you should be able to make an informed judgement when you encounter such lesions in your practice. This course will present a systematic pattern for performing an oral soft tissue examination. Numerous unusual variations of normal and several subtle presentations of serious neoplasms are illustrated. In addition, the pros and cons of several of the newer diagnostics aids will be included. The discussions are presented in a format that insures easy utilization of the information; and all of those in attendance are encouraged to participate and ask questions related to their previous experiences with these pathologic conditions. High-quality clinical photographs are used extensively to clarify and explain thoroughly each included disease process. This 1.5 hour lecture will provide attendees with the most up-to-date information regarding the fascinating field of oral medicine in the pediatric patient. The lecture will use case presentation as the learning and discussion format and will cover the entire spectrum of the most common soft tissue lesions in infants, children and adolescents, as well as common radiographic lesions in this age group. Each case presented in the lecture will bring an interesting discussion about differential diagnosis and appropriate treatment. Best clinical practices and evidence-based dentistry will be the framework of the lecture. Continuing education credits issued for participation in the CE activity may not apply toward license renewal in all states. It is the responsibility of each participant to verify the requirements of his/her state licensing board(s). The North Carolina Dental Society is an ADA CERP Recognized Provider. ADA CERP is a service of the American Dental Association to assist dental professionals in identifying quality providers of continuing dental education. ADA CERP does not approve or endorse individual activities or instructors, nor does it imply acceptance of credit hours by boards of dentistry. Concerns or complaints about a CE provider may be directed to the provider or to ADA CERP at www.ada.org/cerp. This continuing education activity has been planned and implemented in accordance with the standards of the ADA Continuing Education Recognition Program (ADA CERP) through joint efforts between the North Carolina Dental Society and the Guilford County Dental Society. The North Carolina Dental Society is an ADA CERP recognized provider. Dr. Bobby Collins is a native North Carolinian. He attended Appalachian State University for two years before transferring to UNC for his bachelor of arts degree. He was accepted to Dental School while employed in the President’s Stay–in- School Program employee at NIEHS in RTP. Following graduation from dental school at UNC, he practiced dentistry in Durham, NC for a year, then joined the US Army where he served as a dental officer from 1984 to 1992 at Ft Bragg, Fort Sam Houston, Camp Casey Korea, and Ft Lee, VA. While in the Army he earned an Expert Field Medical Badge, AAM, OSR, ARCOM, NDSM and MSM. He resigned his commission as a Major to enter an Oral and Maxillofacial Pathology residency at the University of Florida. Following residency training, he completed a fellowship in Head and Neck Pathology at the University of Pittsburgh Medical Center. Dr. Collins then accepted a job in the Department of Diagnostic Sciences at the University of Pittsburgh School of Dental Medicine. In his 15 years there, he taught pre- professional, dental hygiene, nursing, specialty residency, medical, dermatology and general pathology students and residents. 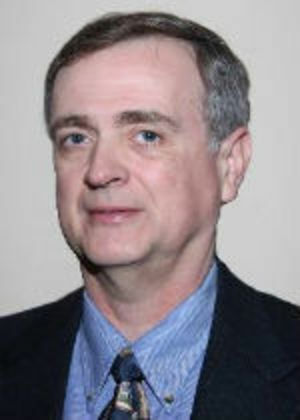 He served as an Oral Pathology Consultant to the VA, the US Army, US Navy, Allegheny General Hospital, and the University of Pittsburgh Medical Center. At UPMC, he attained an MS in Clinical Medical Education. Dr. Collins joined the faculty of the East Carolina University School of Dental Medicine in March 2011. He has presented continuing education courses for dental, medical, civilian and military audiences both in the US and abroad. Dr. Collins lost his wife of 37 years (Lisa) to ovarian cancer in 2015. He has a spoiled Shih Tzu named, Riley. Dr. Damm is a Professor of Oral Pathology at the University of Kentucky College of Dentistry in Lexington, KY. He received his undergraduate education at Louisiana State University in Baton Rouge. His continued his education at Louisiana State University School of Dentistry in New Orleans where he received his DDS in 1977. After graduation, he began his residency at Emory University School of Dentistry and received his Certificate in Oral Pathology in 1979. Dr. Damm has been a Diplomate in the American Board of Oral & Maxillofacial Pathology since 1982 and is a Past- President of both the American Academy of Oral and Maxillofacial Pathology and the American Board of Oral and Maxillofacial Pathology. After completion of his formal education, he moved on to the University of Kentucky. Since his arrival in the Blue Grass, Dr. Damm has participated in approximately 500 continuing education courses and speaking engagements. He has authored approximately 200 publications in dental journals and is co-author of two popular textbooks, Oral & Maxillofacial Pathology and Color Atlas of Clinical Oral Pathology. His photographic expertise is illustrated well in these textbooks and his presentations. 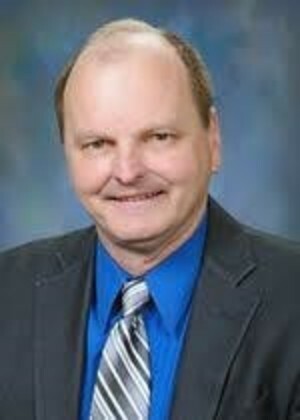 Dr. Damm’s teaching style is entertaining and oriented to the practical aspects of dentistry. Since his arrival at UK, he has received the Best Instructor award from the graduating class on 17 occasions. He also was recipient of the 2002 Great Teacher Award presented by the UK Alumni Association of the main campus of the University of Kentucky. Dr. Damm has an active practice in both clinical and histopathologic oral pathology. 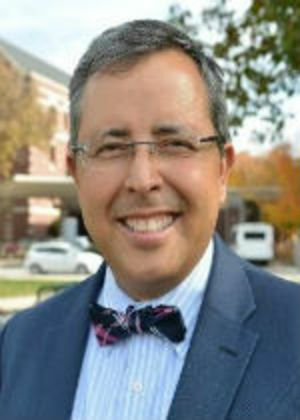 Juan F. Yepes DDS, MD, MPH, MS, DrPH is an associate professor in the department of pediatric dentistry at Indiana University School of Dentistry and an attending at Riley Hospital for Children in Indianapolis. Dr. Yepes is a dentist (DDS) and a physician (MD) from Javeriana University at Bogotá, Colombia. In 1999, he moved to the USA and attended the University of Iowa and the University of Pennsylvania where he completed a fellowship and residency in Radiology and Oral Medicine respectively in 2002 and 2004. In 2006, Dr. Yepes completed a Master in Public Health (MPH), and in 2011 a Doctoral Degree in Public Health (DrPH) both with emphasis in Epidemiology at the University of Kentucky College of Public Health. In 2008, he completed a residency program in Dental Public Health at University of Texas, Baylor College of Dentistry. Dr Yepes then completed a residency program and a master in pediatric dentistry at the University of Kentucky in 2012. Dr. Yepes is board-certified by the American Boards of Pediatric Dentistry, Oral Medicine, and Dental Public Health. He is an active member of the American Academy of Pediatric Dentistry, American Academy of Oral Medicine, American Academy of Oral and Maxillofacial Radiology, American Association of Public Health Dentistry, Indiana Dental Association and American Dental Association. He is a fellow in dental surgery from the Royal College of Surgeons at Edinburgh and a member of the editorial board of the journals Pediatric Dentistry and Oral Surgery, Oral Medicine, Oral Pathology, and Oral Radiology. He has many years of experience in medicine, medically compromised children and dental protocols, diagnosis and radiology in children and shares these experiences in outstanding lectures. The Golden Triad Seminar is presented in association with the North Carolina Dental Society. Refund requests must be made by February 15. If you have any special needs or questions, contact Prissy Allen at 919-234-4027. I'm not missing this meeting. Register me!